We took the kids to see the Remembrance Sunday “Poppy Field” at the Tower of London a few weeks back – actually it is called the Blood Swept Lands and Seas of Red – 888,246 Ceramic Poppies to represent the fallen in World War I. I have to say it was an “impressive” and extremely humbling sight. 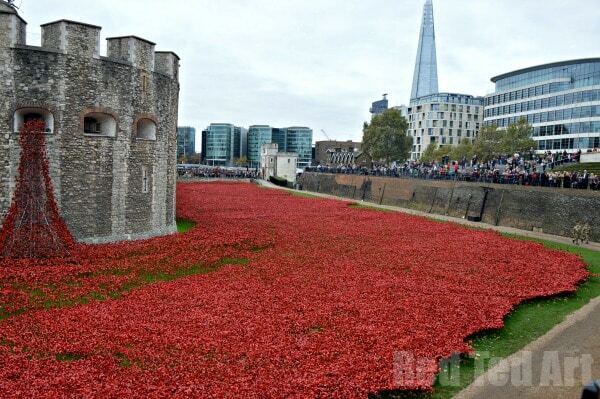 And unbelievably large sea of red.. so many people that died. Very sad. The atmosphere was hushed and respectful and I think the children sense the awe of it. 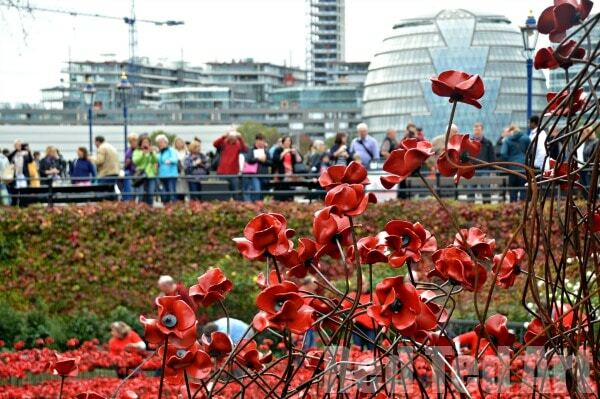 We were lucky enough to purchase two of the Poppies and will be getting them in the New Year. 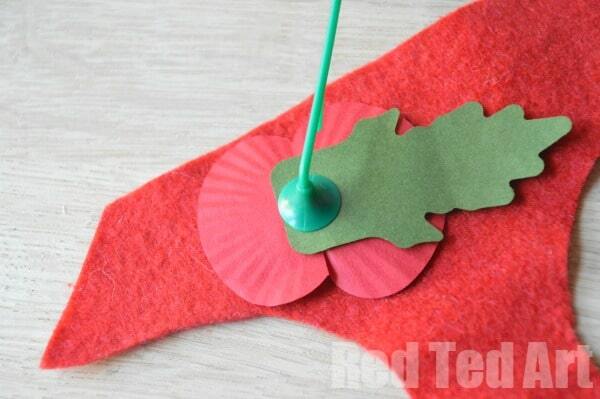 In the meantime, the children wanted some of the traditional Paper Poppies. Which we duly purchased. The annual Poppy Appeal is an important charity that supports the families of those injured or fallen in any conflict and it is a charity that we support in different ways each year. 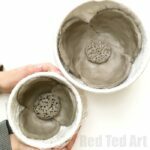 This year, we bought the ceramic poppies and of course our paper ones. Small contributions, large impact. 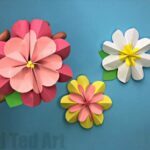 Upon arriving home, Pip Squeak also wanted to MAKE some (yes, she loves to make everything). 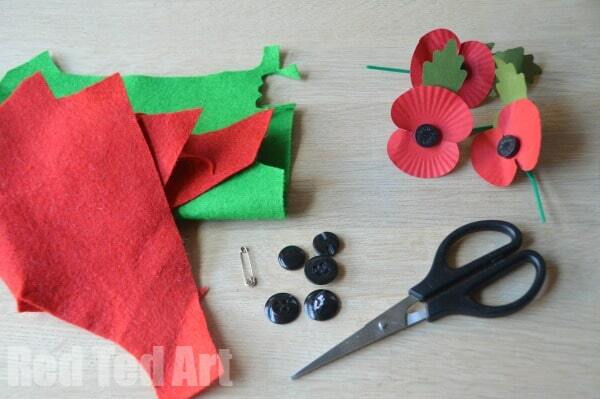 So here we have some SIMPLE DIY Felt Poppies – that are in fact easier to wear (they don’t keep falling off). 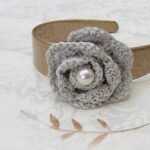 But please note – these should not replace any donations you would normally make – I encourage you to make some, but also to Donate to the British Legion and support their very important work! 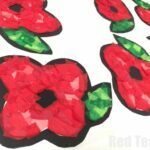 1) We used our paper poppy as a template (remember to donate too and “not just make”) to cut out the red poppy shape – you can draw the outline and let the kids cut. 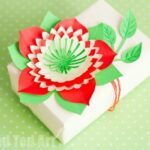 2) I cut the green leaf “free hand” or you could choose to use the leaf as a stencil too. 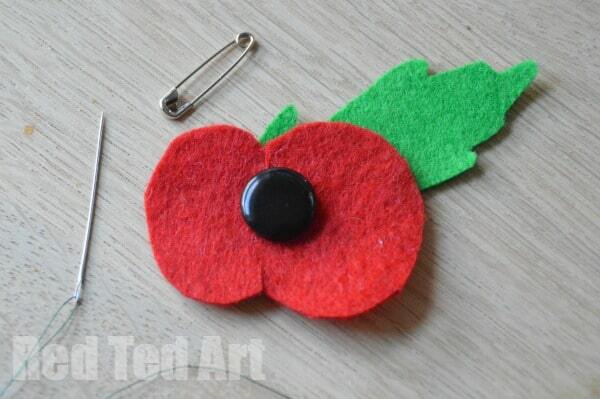 3) Then sew your leave, red poppy and button together and add the safety pin to the back. 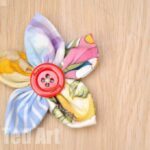 I think we will make another version without the black button, but with black felt that the kids can glue together. Don’t forget to Donate to the British Legion! 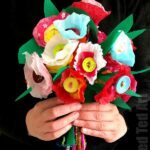 Happy Poppy Making! 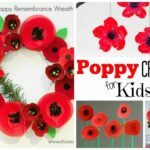 More Poppy Craft Ideas for kids.